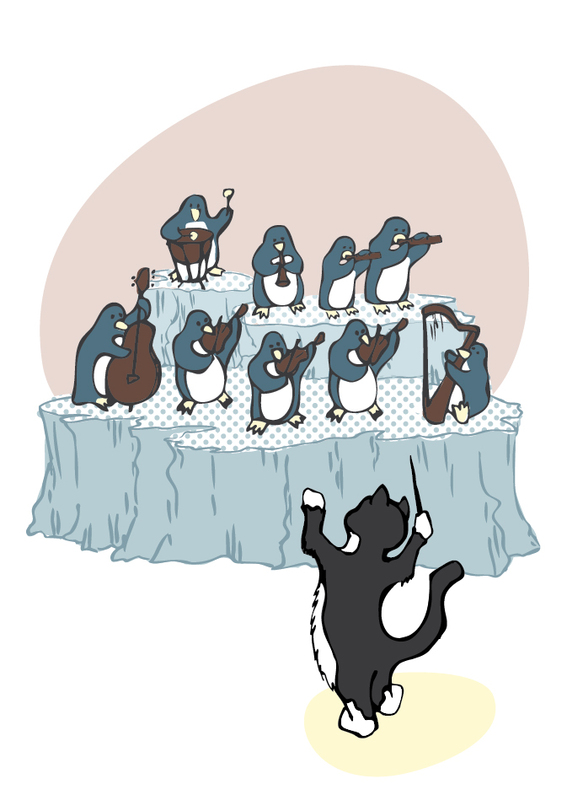 Vivi, my 5 year-old, moonlights as a conductor of the penguin orchestra at the local zoo. I mean, why not? She’s dressed for it already in her snazzy tuxedo. I created this illustration a few years ago when I was into vector illo and the mid-century modern style. I’d like to revisit it again now using my current loves, cut paper collage and watercolor/ink. I’ma put that on my (already infinite) to-do list. 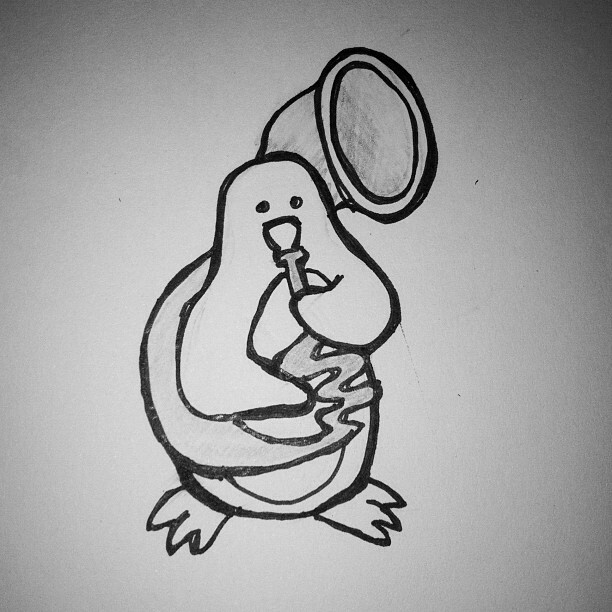 And this time, the tuba player will be punctual.